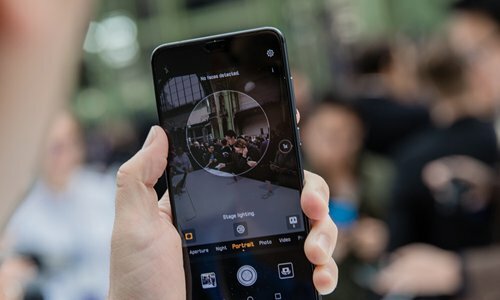 France should clarify its attitude toward Huawei, since being unclear will not only increase the cost but also delay the pace of building the 5G network in the country, analysts said. "France and other US allies are following the US at the risk of sacrificing some interests of their own. This faces opposition in their countries, which is why they are sending contradictory messages outside," saidXiang Ligang, chief executive of telecom industry news site cctime.co. The comments came after a report in the France-based Les Echos newspaper, which said that France is intending to block Chinese telecommunications giant Huawei by empowering its security and defense regulators, but without openly declaring war on China. Xiang noted that blocking Huawei will increase the cost of building the 5G network by more than 30 percent, and no other equipment providers would be as efficient as Huawei. Several countries including the US, Australia, New Zealand, Germany and Japan have sought to block Huawei, a pioneer of China's 5G technologies, for national security reasons. Norway also said previously that they were considering whether to join other Western nations in excluding Huawei from building part of its new 5G telecom network. "We have always stressed that questions about security should be based on facts. So far, the US, Canada and their so-called allies have tried to spread alarm that they will be monitored by China if they use high-tech telecommunications equipment made in China," Hua Chunying, a spokesperson of the Ministry of Foreign Affairs, told a regular press conference on Tuesday. "Those people had better stop making such comments that would make the whole world feel ridicule, " Hua said. French Finance Minister Bruno Le Maire said in December last year that Huawei was welcome and plays an important role in France, although he added that the government might set certain limits if some investments touched on national sovereignty or sensitive technologies, Reuters reported. "We welcome Huawei, like any overseas company. Huawei needs to obey the same procedures in France as any other overseas company," he said. Liu Dingding, an independent technology analyst, said that there is an increasing trend for some Western countries to "address business matters with political actions, particularly in the high-technology sector." "I believe they will lose more than they gain by such prejudicial actions. Huawei is already ahead of many US companies in terms of 5G technologies. If those countries block Huawei's services, that means they are locking out some of the most cutting-edge 5G technologies," Liu said. Huawei declined to comment on the issue when contacted by the Global Times on Tuesday. Liu also noted that a few countries' sanctions won't hinder Huawei's globalization pace. "5G is the future, not only for the telecommunications industry but also for industries like smart cities, autonomous driving and artificial intelligence. If Huawei marches on, it will develop an absolute predominance in this technological area, so I don't think it needs to worry about overseas markets and global cooperation," he said.